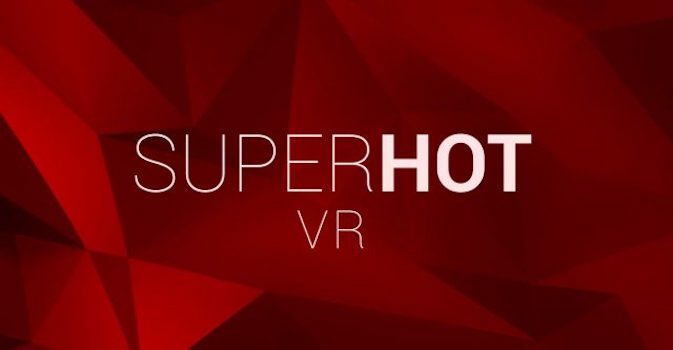 uperhot returns, not in a revamped edition and shoe horned on to VR… Not this is more like a spin-off that takes the core concepts and moves them to their logical conclusion. “Superhot is a game that takes a beautifully pure core mechanic and throws no needless filler around it. It feels fresh throughout and offers up a challenge worth taking.” That’s my analysis of the original release on PC and I still stand by that. The core concepts at work in Superhot area incredibly good fun. 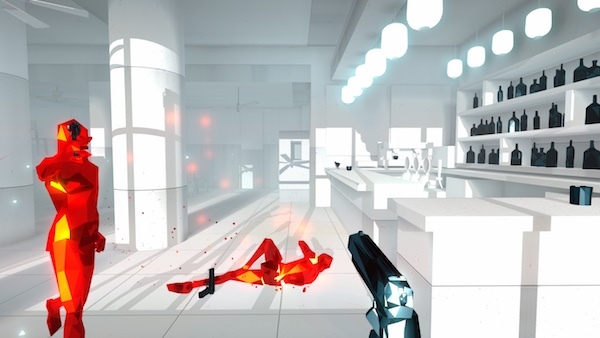 Unlike regular shooters Superhot plays with time in a unique way only progressing the action on screen as you take action in the game. Move left, time progresses. Step forward, time progresses. It makes what looks like a Lawnmower Man-esque shooter in to a complex and satisfying puzzle game that also happens to make you look like a badass at the same time. You know what Superhot is, so I won’t rehash that here. 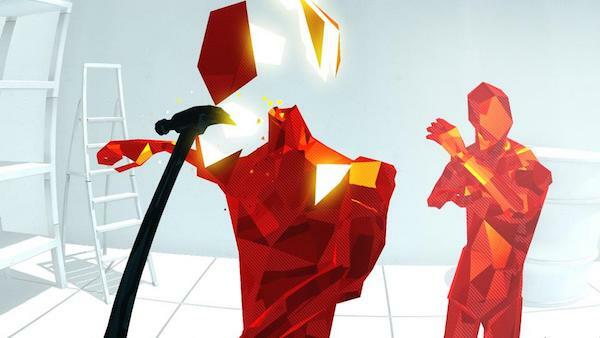 Where are the original Superhot progressed with controller or input device movements, Superhot VR takes consideration of every movement of your “self” in 3d space. Move your head left to see if an assailant is approaching and time moves on. Lift your arm to grab a bottle, time moves on. It adds a very real sense of immediacy to the proceedings and take the core concept to a whole new level. So taking on each set challenge area usually breaks down to noticing the enemies in red, checking their attack pattern/options, looking for weapons at your disposal and then moving deliberately and slowly to take them all out. These scenarios sound simple and, to start, they really are. As you get deeper into the few hours of missions you get increasingly complex puzzles to solve and find yourself ducking, twisting, dodging and weaving to keep alive. You feel physically and mentally exhausted after a long play sessions that’s for sure. So the core concepts and overall ideas are spot on, this is the way Superhot should be played as VR adds so much. So what’s holding it back? Well, to be blunt, the PSVR. The PSVR and Move controllers (Superhot VR is dual-Move remotes only) are a reasonable solution for the price tag. I’ve spent many hours usung both and not felt like a 2nd class citizen. The fact is though that the Move and VR headset are not the most precise at times and the tracking suffers often. This maybe doesn’t matter that much in almost any other game, apart from minimising motion sickness. 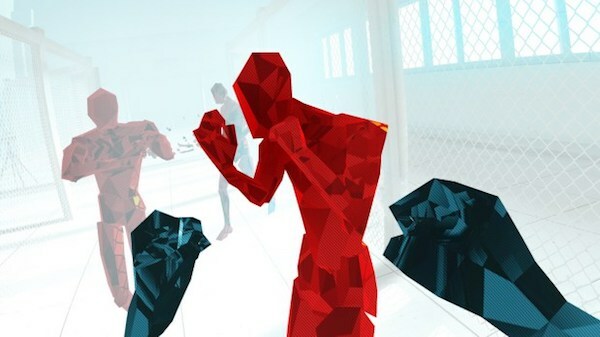 Alas in Superhot VR the small movements and twitches from the headset and Move controllers translate into movement in the game… And as we know movement in the game progresses time. These involuntary twitches and movements can often lead to frustrating deaths or poorly executed movements. 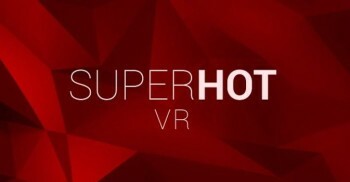 Despite the downsides introduced by the PSVR inaccuracies Superhot VR is still a superb experience in many ways. Nothing really comes close to the feeling you get when you’ve dodged bullets, punches and projectiles only to throw a bottle at an enemy, knick the uzi from their hands, catch it mid-air and blow away oncoming threat. It really does make you feel like an absolute bad arse! Many might whinge at the £20 price tag, and to be honest I think that’s maybe a shade over reasonable, but what you get for the money is a great few hours of game you’ll not find anywhere else (unless you’re playing the superior PC version that is! ).